There are many who call themselves " prophets ". I may be skeptical in this day and age. But when I open those pages in that last chapter of the Bible? I shake my head at that huge prophesy. All I know is there will be many who will answer for their actions( unsaved), non believers. Etc. the descriptions of the apocalypse is very dramatic and graphic. In fact you can almost envision it. 11Then I saw heaven opened, and a white horse was standing there. Its rider was named Faithful and True, for he judges fairly and wages a righteous war. 12His eyes were like flames of fire, and on his head were many crowns. A name was written on him that no one understood except himself. 13He wore a robe dipped in blood, and his title was the Word of God. 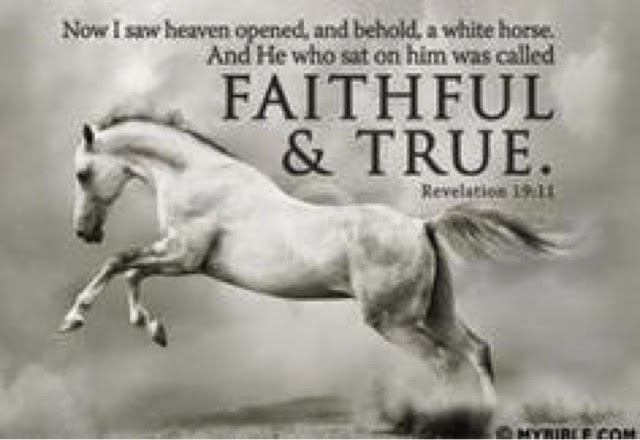 14The armies of heaven, dressed in the finest of pure white linen, followed him on white horses. 15From his mouth came a sharp sword to strike down the nations. He will rule them with an iron rod. He will release the fierce wrath of God, the Almighty, like juice flowing from a winepress. 16On his robe at his thighe was written this title: King of all kings and Lord of all lords.